NOW TRY IT FOR FREE! 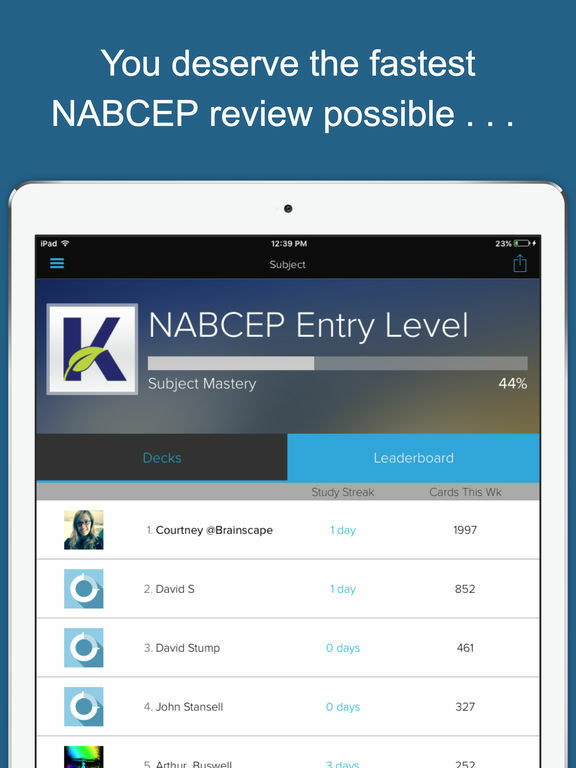 Are you prepared for NABCEP Entry Level Exam? There is a better way to study than laboring through reference guides and candidate handbooks. 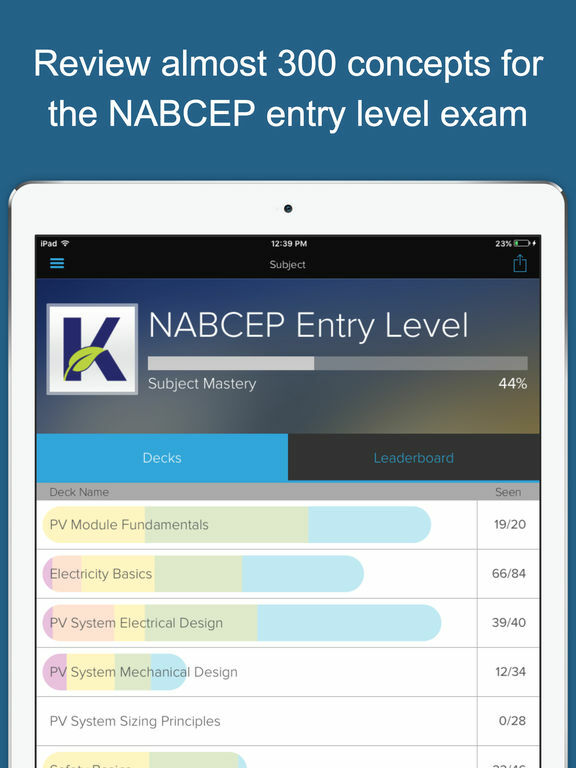 Applying the latest in learning sciences, Kaplan Clean Tech's NABCEP Entry Level Exam prep app will help you efficiently learn everything you need to pass the exam with flying colors. With over 280 dynamic flashcards that intuitively focus on areas where you need the most help, this system makes studying almost TOO easy! 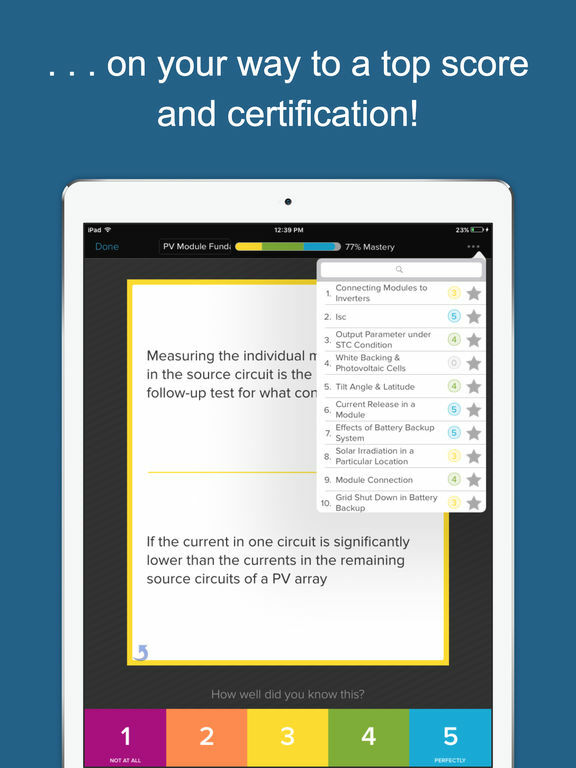 Kaplan Clean Tech has embarked on setting the highest standard for clean tech and solar trainingprep in the mobile community by partnering with Brainscape. 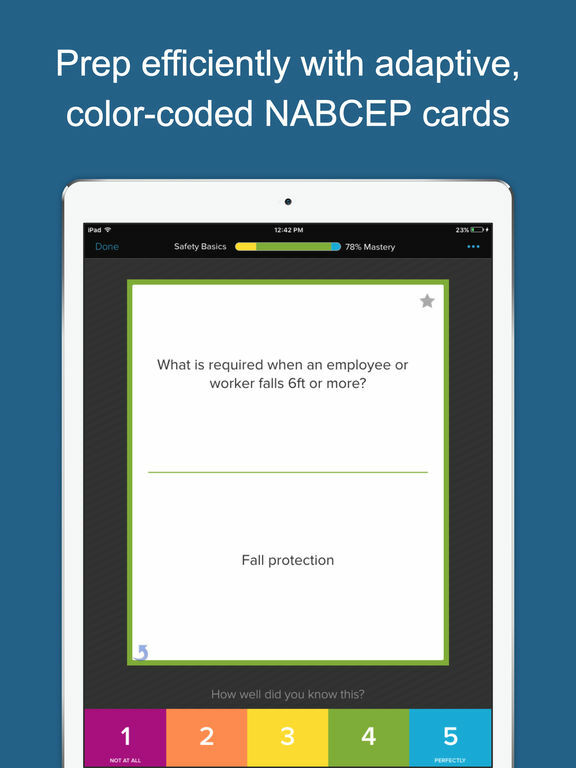 With our streamlined adaptive flashcard software, you can study as efficiently as possible. The platform lets you immediately diagnose weak areas (which will repeat more frequently as you study) and avoid over-studying already strong areas (which will be sorted out for you). It also tracks your overall success throughout. It's the perfect study supplement!